Trawsdir Touring Caravans and Camping Park is the first place in the whole of Snowdonia offering FAMILY PODS for you to experience camping in a whole new way. 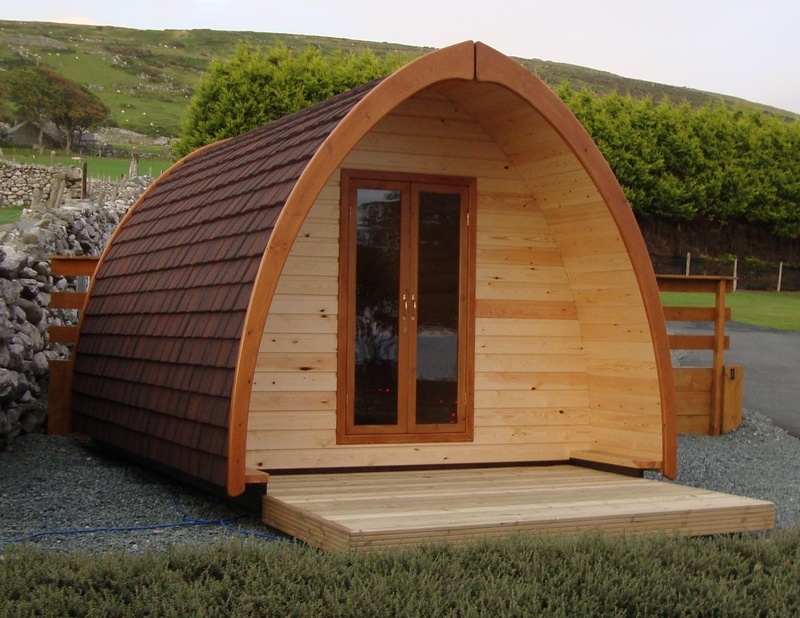 If you like the idea of camping, but not the bugs, then the timber framed FAMILY POD is your saviour. Take all you need for camping, but without the tent! Ideal for a short break or just an overnight stay without the hassle and difficulty of packing away your wet tent. The FAMILY PODS at Trawsdir are the only ones in the whole of Wales to have sea views. They are double glazed with extra insulation, have an extra socket and lights, T.V/DVD, and a veranda that overlooks the sea. The FAMILY PODS take a maximum of 5 people and are available between 1st March and 5th January. Dogs are not permitted in all of our FAMILY PODS, however we do now have 1 PET FRIENDLY POD too so you can bring along your pet. To stay in the DOG POD please ask specifically for this at the time of booking. Yes, you can even stay in them over Christmas and New Year!!! !